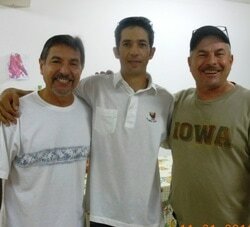 Serve God with Great Door Ministries in Havana, Cuba! As a mission team member you will work HARD, day and night – painting, cleaning, doing light construction and other practical acts of service, working with children leading VBS, spending time with the elderly, doing arts and crafts workshops, cooking, doing dishes, teaching seminars… willing to serve in any way that we can. We will also share our testimonies, worship with our Cuban church, and experience this adventure together as a team, as a family that entire week. We will be housed right in Old Havana at Los Pinos Church. Did you know that our work is funded entirely by donations from incredible supporters like yourself? $1.40 buys one meal for the elderly in Old Havana and $10 buys math curriculum for 1 student at Instituto Alfa for one full year... we'd love to have you as a partner in that mission!